3-Ingredient Cheese Puffs with ricotta, the simplest and tastiest recipe. 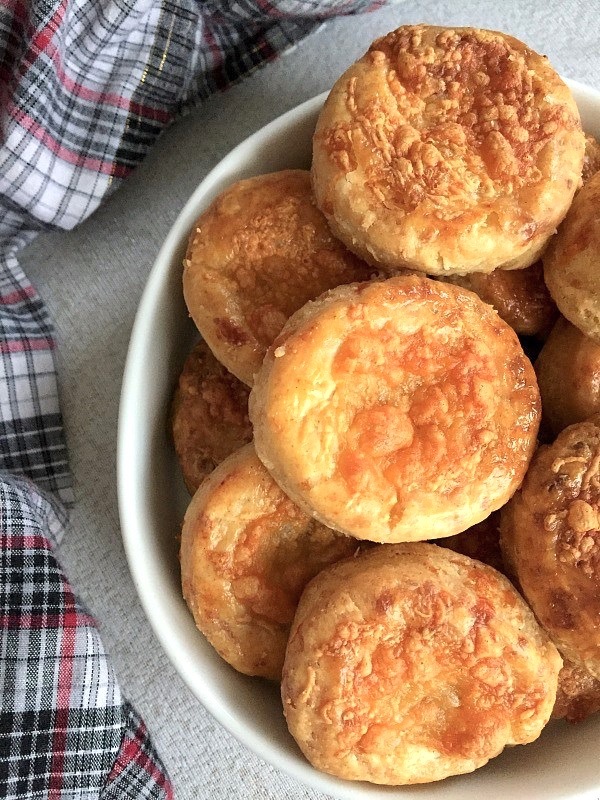 Great on their own, or topped with jam, or any other spread, these cheese puffs are the perfect snack, appetizer or picnic bites. Easter is well over, and we are now dreaming of warm, picnic weather to ease us into the so needed summer. Although, let’s hope that this ridiculously long Winter will soon be over. I mean, come one, snow in March? Are you kidding me? I so hope that we can at least get a few sunny days this Spring. If Easter was all about obscene amounts of chocolate eggs, well, chocolate of any sort, it’s high time we got back to some lighter nibbles now. Don’t look at the scales just yet, that summer body can come later. At least, that’s what I’ve been telling myself since the New Year’s Resolutions. As usual. So, what’s so spectacular about these cheese puffs? Well, first of all, you only need 3 INGREDIENTS: ricotta cheese, breadcrumbs, and an egg. That’s it, nothing fancy, and you get the fluffiest, lightest, and oh-so-cheesy puffs. And you know what’s so great about them? 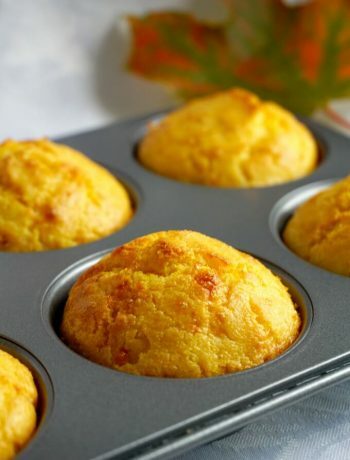 You can even have them as dinner rolls instead of regular bread or rolls. Or, you can take them to the next level and top them with anything that takes your fancy: smoked salmon, cucumber slices, spreads of any kind, jam, etc. The jam topping was particularly nice, I think it’s by far my favourite one. Right, so how do we make these fabulous cheese puffs? First of all, I recommend panko breadcrumbs, but if you only happen to have regular breadcrumbs, not too worry. Or just make your own breadcrumbs, usually stale bread that no one wants anymore works the best here. Do not add any more breadcrumbs even if after mixing the ingredients it looks like that consistency is too runny to form balls. After the one hour rest, the consistency will change, and you will be able to form perfect balls. The ricotta cheese can be replaced by any other creamy cow’s cheese, or you might add some sour cream if you think the consistency of your cheese is not quite creamy. The whole idea is that the creaminess of the cheese helps moisten the breadcrumbs, thus making the cheese puffs fluffy and light. It’s definitely a different texture from my Cheddar Cheese Bites, which are a lot flakier, but still fabulously cheesy. Feel free to add any spices you like, for extra taste: black pepper, chilli flakes, or give them a nice touch by using chives, dill or spring onions. Or add some parmesan, cheedar cheese or any other stronger-flavoured cheese. Basically, the recipe can be tweaked the way you like, as long as the consistency is not changed. It is important to set the mixture aside to chill for about one hour, that gives the breadcrumbs enough time to moisten! Unlike the French Gougères, which use flour, cheese and a lot more eggs, these cheese puffs only require a bit of mixing together, and nothing else. Just baking. The oven must be hot when the cheese puffs go in, so pre-heat it at 180 degrees Celsius (350 Fahrenheit), they should be ready in about 35-40 minutes or until golden. Do keep an eye on them though, different ovens will bake differently. At first, it might look like they will never change their colour, but be patient, and they will turn out beautifully. Enjoy the recipe, it’s definitely a great favourite of mine! If you’ve liked my CHEESE PUFFS or any other recipe on the blog then don’t forget to rate the recipe and let me know how you got on in the comments below, I love hearing from you! You can also FOLLOW ME on FACEBOOK, INSTAGRAM and PINTEREST to see more delicious food and what I’m getting up to. Mix together all the ingredients, then chill in the fridge for one hour. Form 10 balls out of the ricotta mixuture, then place them on a tray lined with perchament paper. Bake for about 35-40 minutes or until golden and fluffy. More tips about the recipe can be found in the post before the recipe card. YUM! I would love to try these. I’m such a sucker for savory food, I love it! !